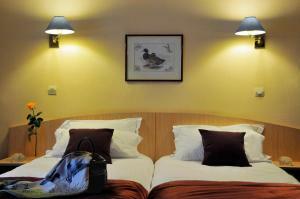 Hotel The Originals Paris Gare de l'Est Parisiana is located just 300 metres from Gare du Nord and Gare de l'Est Train Stations. 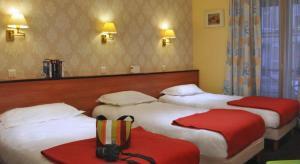 It offers guestrooms featuring free WiFi and an LCD TV with international channels. Hotel The Originals Paris Gare de l'Est Parisiana is a 25-minute walk from the Opera Garnier, Montmartre and Place de la République and 10-minute walk from Canal Saint-Martin. The Gare de l'Est Metro Station is just a 5-minute walk from the hotel, which offers direct access to the Louvre Museum, Galeries Lafayette Department Store, and Notre Dame Cathedral. A free luggage room is available upon arrival. Please note that a valid ID card and the credit card used to make the reservation will be requested on arrival for prepaid bookings. The rooms are individually decorated and include an LCD TV with satellite channels. Please note that this room cannot accommodate a baby cot. 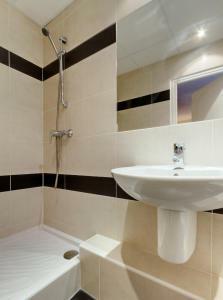 An LCD TV, telephone and private bathroom feature in this air-conditioned room. Extras in this room include an electric kettle, luxury products in the bathroom, more space and a king-size bed. Rate: € 103.70 ... € 106.25; select dates below to get current rates. An LCD TV with satellite channels, telephone and private bathroom feature in this room, located in a separate building in the courtyard. This room is not accessible by lift. Rate: € 77.00 ... € 128.00; select dates below to get current rates. An LCD TV with satellite channels, telephone and private bathroom feature in this room, located in a separate building in the courtyard. This room is accessible by lift. 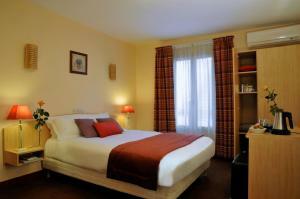 Rate: € 82.00 ... € 125.00; select dates below to get current rates. An LCD TV with satellite channels, telephone and private bathroom feature in this room. This room is accessible by lift. An LCD TV with satellite channels, telephone and private bathroom feature in this room. It also includes 1 double and 1 single bed, or 1 double bed and 1 chair bed. This room is accessible by lift. 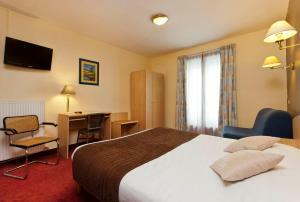 Rate: € 99.45 ... € 106.25; select dates below to get current rates.